During my recent trip to Madrid in a local Sephora, I spotted what could possibly be a summer essential, and for a few euros I couldn't pass it up, and so decided to give it a whirl. 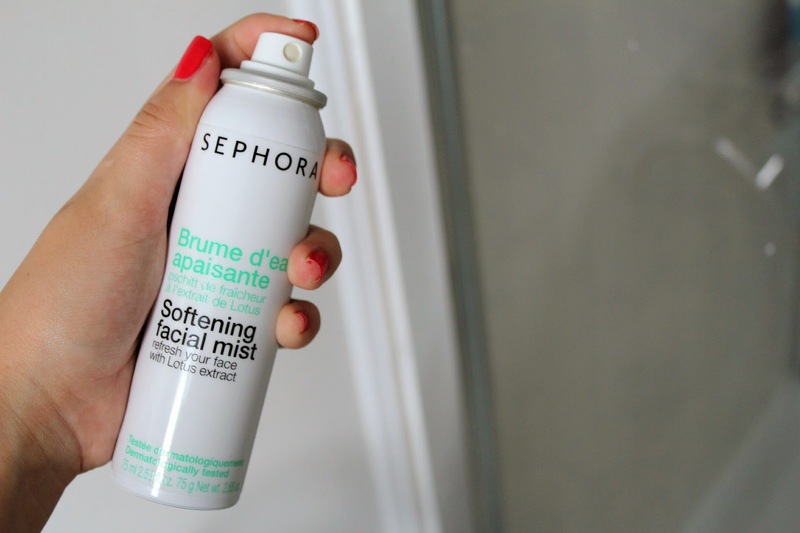 Generally I don't tend to buy into the 'cooling face mist' concept as it is just water in a spray can, but the Sephora Softening Facial Mist has Lotus Extract included so it made the purchase more justifiable as there was a little more added to it. In the heat of Madrid this really did come in handy to spray on my face and sometimes even chest when I was getting a little flustered. There isn't any alcohol in this so it doesn't dry out the skin, and has a light fresh scent which is quite comforting when you spray it. The spray nozzle dispenses just the right amount of product as a light fine mist - nothing too vigorous or heavy, and absorbs into the skin in a matter of seconds making it perfect for on the go. I did not realize Sephora has facial mist. I might have to check it out. this sounds great - i didnt know sephora had some!